Fit Kids America, a non profit 501 (c) 3 organization, is looking to your school to further our mission! Given the alarming statistics of obesity and inactivity in kids, we have formed a non-profit group to spread helpful programs nationwide, to turn these statistics around. Fit Kids offers after school enrichment programs that make fitness fun! Kids are more likely to get involved when they have friends participating, and parents enjoy the convenience of having their kids stay on campus an extra hour to get some exercise. We’ve offered programs in North San Diego County for over 13 years. Our program is currently in hundreds of schools across Southern and Northern California. Here’s a little bit about how Fit Kids works. The program is funded by enrollment fees paid by parents. Sessions last 6-8 weeks with up to 5 sessions in a school year. 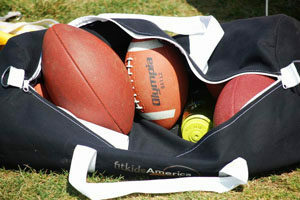 Each sport practices one day a week directly after school. We handle all the details of the program, which means for you and your school, it’s completely hassle-free! We’d be happy to offer 1 program, or coordinate ALL of your after school enrichment programs for you. We are experienced at both.